Can you confirm these amateur observations of Chelonoidis niger? Type locality: "Sandwich-Inseln" (in error). 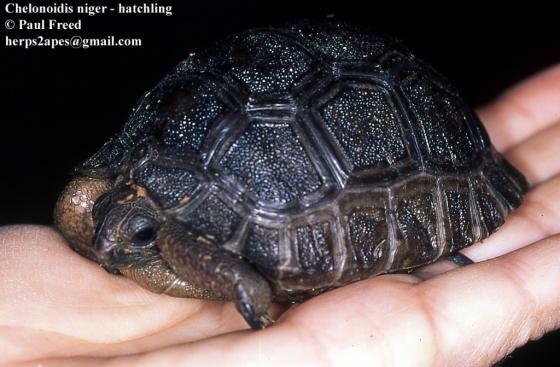 Comment Taxonomy: This is a member of the Chelonoidis nigra species complex (formerly Geochelone elephantopus). Rhodin et al. (2010) listed the various forms/subspecies separately but under the heading “C. nigra species complex”. Synonymy: mostly after RHODIN et al. 2010 and Olson 2015, 2016 who argued that the names Testudo nigra Quoy and Gaimard and Testudo nigrita Duméril and Bibron should be considered as nomina dubia. Testudo nigra and Testudo californiana were based on the same specimen, now lost. Günther (1875), Baur (188), Rothschild (102), and Van Denburgh (114) were unanimous in declaring that the type specimen of Testudo nigra, which Günther and Rothschild examined together in the Paris Museum, was too juvenile to possess any morphological characters that would allow it to be assigned to a given island (Olson 2016). TTWG decided not to adopt Olson’s 2017 conclusions on the priority of elephantopus over niger, at least not for now (PP van Dijk, pers. comm., 26 Feb 2018). Conservation: This species and Testudo galapagoensis are extinct now. See also extensive comment in KING & BURKE 18. IUCN: Extinct (16), as Chelonoidis nigra nigra; CITES: Appendix I. Distribution: The nominate subspecies, Geochelone nigra nigra was completely arbitrarily ‘‘restricted to Charles Island (Santa Maria or Floreana)’’ (Pritchard 16: 4). Louis, Edward Emile, Jr. 1997. 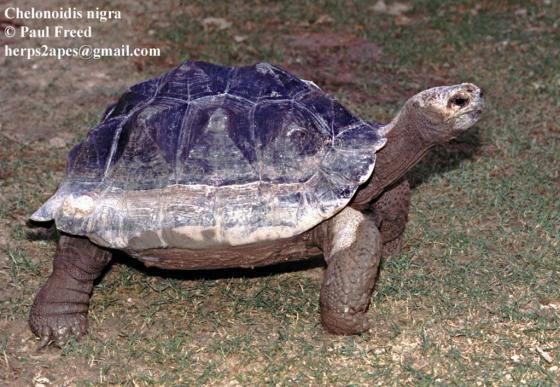 Genetic analysis of the Galapagos tortoise, Geochelone nigra: taxonomic relationships among subspecies and population assignment of captive individuals. Unpublished Ph.D. Thesis, Texas<br />A&M University, College Station, Texas, USA, 207 pp.